When I visited Paris for the very first time some years ago, the number one list in my destination is of course, The Louvre. This is one of the most fulfilling things I have ever done in my life. I was always hesitant to go sight-seeing or even visit museums because I had this guilty feeling of doing something mundane. I thought that looking at paintings were a waste of time. At least that was what I felt when I go to local art exhibits. But for the very first time in my life, I was in awe with many of the paintings I saw in The Louvre. No wonder millions of people visit it every year. 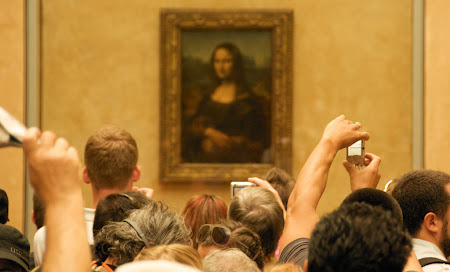 The tour guide told us that nearly 10 million people from all over the world come to The Louvre for the common purpose of seeing the most famous painting in our life time. I asked what that painting was. And the answer was: Mona Lisa.